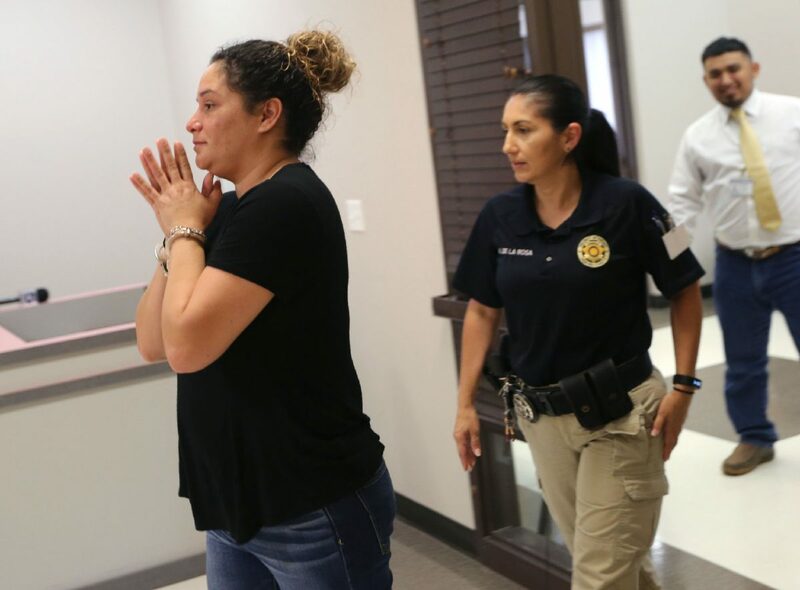 Veronica Vela Saenz is brought into the courtroom of Justice of the Peace Jaime Muñoz to face charges of voter fraud Wednesday, May 23, 2018, in Pharr. EDINBURG — The Texas Attorney General’s Office addressed the investigation into last year’s municipal election, calling it an organized scheme and warning of more arrests to come in a news release Wednesday. Texas Rangers arrested four people last week in connection with the investigation. Crystal Lee Ponce, Maria San Juanita Aleman and Veronica Vela Saenz were charged with illegal voting, a second-degree felony punishable by up to 20 years in prison and a $10,000 fine, while Jose Antonio Vela II was charged with making a false statement on a voter registration form, a Class B misdemeanor. “Attorney General (Ken) Paxton has made elections integrity a top priority,” the release stated. It noted that his office is prosecuting nine voter fraud counts in Nueces County and two counts of non-citizen election fraud in Harris County, both stemming from the 2016 election cycle. In February, his office announced a significant voter fraud initiative, hoping to address key problems in policy related to election law, the AG’s office stated.